Everyone loves a gift…and everyone loves giving a nice gift that costs under $20! With the holidays approaching, it's time to get serious about picking out gifts. Whether you are sticking to a budget or have decided on a limit, there are so many options as to what types of gifts to give. I have rounded up some of my favorite options that are all under $20! On another note, we moved on Friday and through the weekend. I am so exhausted! You'd think I would have gotten the hang of moving by now…I have not. I cannot wait to show you the tiny house we are in. It is so charming and has a lot of character. The best bart? It's more financially wise and it has the cutest fireplace (and a fenced in backyard)! 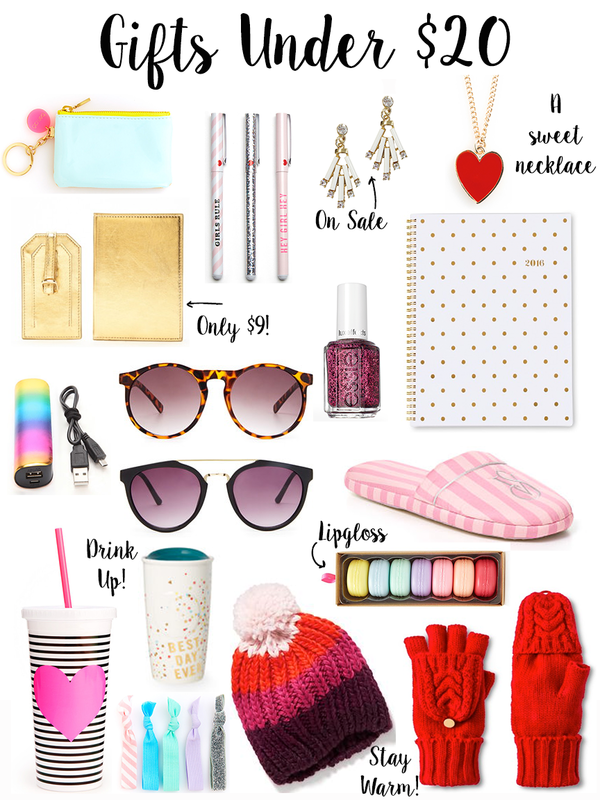 What gift ideas do you have that are under $20?! Share below!